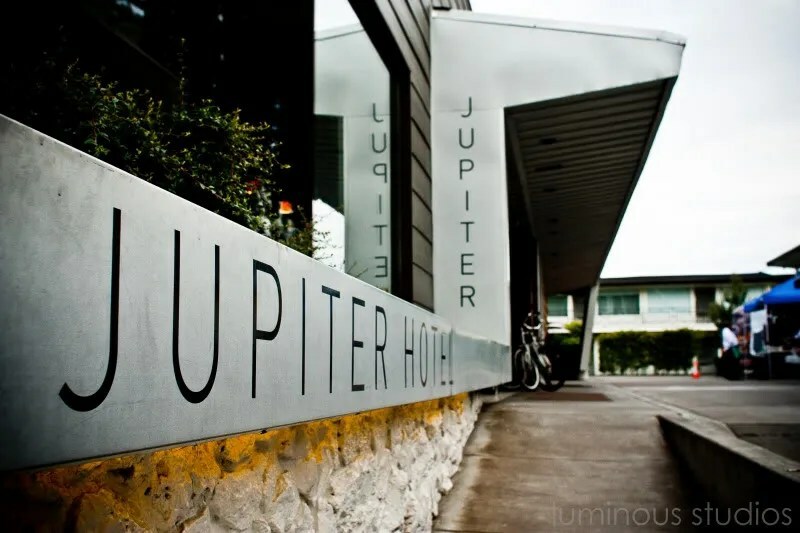 The Jupiter Hotel serves as a home-on-the-road for modern travelers, cultural creatives and business nomads alike looking to indulge in urban life. The 81 modern guestrooms, including the DreamSUITE, connect guests to the vibrancy of Portland at affordable rates– with any number of ways to get around town. A variety of transportation options offer guests “alternative” ways to explore the city – from pedicabs and Electra bicycles on site to car share options and even a charging station for electric cars. Travelers looking for a unique experience in urban hospitality find their destination at the Jupiter, with on site and rooms equipped with iPod compatible speakers, down comforters, pillow-top queen beds and complimentary Wifi. The adjacent Doug Fir Restaurant and Lounge is open daily from 7 a.m. to 2 a.m. and offers cutting edge musical acts most nights in its underground music venue. The Jupiter Hotel is located at 800 E. Burnside, Portland, OR. For further information us online at www.jupiterhotel.com or call 503-230-9200 or 877-800-0004. Thank you for following our site!